A History Of The 'Big' Business Of Hip-Hop Hip-hop music grew from the streets of Harlem and the Bronx into a multi-billion-dollar industry. 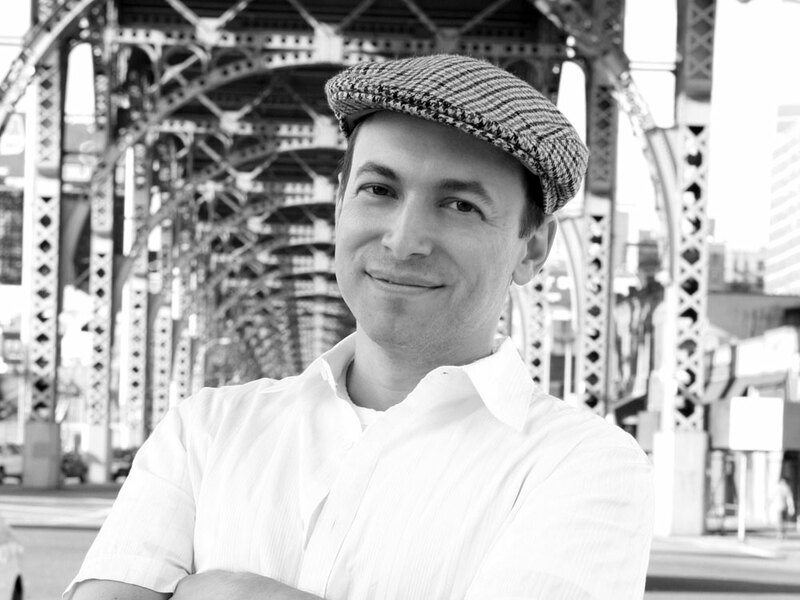 Dan Charnas chronicles how hip-hop producers and entrepreneurs changed the music industry and pop culture in The Big Payback. In 1979, producer Sylvia Robinson heard hip-hop music at a birthday party in Harlem and had a hunch that it would be commercially successful. She called her son, Joey Robinson Jr., and asked him to gather a group of musicians who could perform like the rappers she saw in Harlem. She then held makeshift auditions for a rap group outside a pizza parlor in Englewood, N.J.
"She put these three guys together who had never met each other before, had the backing track all ready and created a record in a matter of minutes," says Dan Charnas, a former rap industry executive who chronicles the history of hip-hop in a new book, The Big Payback. The group that Robinson put together, Charnas says, would become the Sugarhill Gang, and the track they recorded was "Rapper's Delight," the first hip-hop single to break into the Top 40 charts. "Basically, it's a record that created an industry," Charnas says. "Nobody thought the stuff that was in the streets was even music. It was stuff that people did at parties. But Sylvia Robinson had the notion that she could turn it into a record. And she did, and it was extremely successful, due in no small part to her own production genius." Dan Charnas has worked on projects with Rick Rubin, Sir Mix-A-Lot, DJ Kool, Special Ed and Run-D.M.C. His articles have appeared in The Washington Post, Scratch Magazine, The Chicago Tribune and The Source. He was also a music supervisor on the Showtime program Interscope Presents: The Next Episode. Dan Charnas has written features on Ice Cube, A Tribe Called Quest and Public Enemy, among others. "Sugar Hill had a lock on the business in the early 1980s, which I believe they frittered away over the years, partly because of the bad reputation that they developed for paying artists and partly [because of] hubris. There's a story in the book of a young concert promoter from down south named Cedric, and Cedric has this idea that he's going to create this three-ring circus of hip-hop that includes DJing and MCing and breakdancing. He wants to get Sylvia Robinson excited about this concept, so he flies on his own dime to New York, he goes to Sugar Hill's offices and he meets with Sylvia. She literally curses him out and throws him out of the office, saying, 'Why do I need you? I was the first person to put a rapper on tour.' So Cedric Walker walks out of this meeting, goes back across the river, and his Plan B is to talk to this minor, lesser artist-manager by the name of Russell Simmons, who has some budding rap acts like Houdini and Run-D.M.C. — so it's Russell Simmons who gets to make this deal, and that tour idea becomes the Fresh Fest, which was the first successful national rap tour. It symbolizes how Sylvia Robinson and Joe Robinson were eclipsed by people like Russell Simmons." "I think Sugar Hill saw themselves as riding out a fad. I don't think they had any particular belief that this was a powerful culture that had staying power. We'd just come off of the disco era, which turned out to be very, very short-lived, and I'm sure that a lot of people, including Sylvia and Joe Robinson, thought that the same would happen to this rap stuff. The difference was that Russell Simmons did not like the records that Sugar Hill was turning out because they didn't sound to him like the hip-hop that lived in the streets and the parks and the clubs, which was very raw, very beat-oriented, and didn't sound like disco at all. And so Russell Simmons' key innovation, when he made Run-D.M.C. 's first record, was to basically order his producer-partner Larry Smith to take out all the music. 'I just want to hear a beat,' he said." "Rick Rubin was a college student who heard 'Sucker MC's' and was inspired to make his own record. He said, 'This stuff is so much better live. Why can't we make a record that sounds like hip-hop does live?' So he created a song called 'It's Yours.' The irony was he wanted to make it with a group called the Treacherous Three, who ... had exclusivity with Sugar Hill. He had to make it with the brother with one of the people from the Treacherous Three. Russell Simmons hears this record and goes bonkers. He wants to know who did this record. And he finally meets the person [and] he doesn't believe that this white, Jewish college student actually made this record." "Essentially, the Roc-A-Fella ethos was that hip-hop can be everything to its fans. It's not just music, it's not just entertainment, but it can be the clothes that they wear, it can be the language that they speak, it can be the books that they read — it can be even the money that they spend. So I think Jay really is a product of that. and acts according to that ethos. So he ends up diversifying into nightclubs and a sports team and a cosmetic line." In 1979, Sugar Hill Records, a small, Black-owned company, became the first to release a hugely successful rap record, "Rapper's Delight" by the Sugar Hill Gang; and would over the next few years record many more rap hits. In the early 1980s, most major music companies paid hip-hop no attention, leaving the field to small-time, independent operators like Sugar Hill. Below is a story from The Big Payback about another one of those small labels that dabbled in rap, and won. Profile Records would eventually go on to sign Run-DMC, rap's first true mainstream superstars, and land the first rap video on MTV. When Cory Robbins and Steve Plotnicki decided to open Profile Records in May of 1981, they each borrowed $17,000 from their parents. With the $34,000 in start-up cash, they rented a room for $700 a month in a building on the corner of Broadway and 57th Street, just blocks from the Brill Building and 1650 Broadway on one end, and the offices of Sugar Hill partner Morris Levy on the other. West End Records, their soon-to-be com- petition, was upstairs. Running a record company wasn't like they thought it would be. Plotnicki never got around to writing songs, and Robbins didn't end up producing. Instead, Robbins handled talent scouting and promotion. Plotnicki, with his experience at the distributor, took care of sales and manufacturing. For its first single, Profile Records paid $3,000 to license a disco record from England called "I'm Starting Again." It seemed like a good idea: The singer, Grace Kennedy, was a TV star in the U.K. But in America, her record flopped, selling only a few thousand copies. Profile's second record was the label's first rap release. Robbins made a deal with his former Panorama artists, the Fantastic Aleems, who had already put out a 12-inch single on their own Nia label with a young Harlem rapper, Lonnie Love. The reissue, called "Young Ladies," cost Robbins and Plotnicki a very uncomfortable $5,500. The track was a replay of Cheryl Lynn's "Got to Be Real" -- a dance hit which, like "Good Times," was ripe for a rap sendup in the tradition of "Rapper's Delight." Another good idea, and it flopped, too. Robbins then licensed a second record from England, a dance-infused medley of the Four Seasons' greatest hits recorded by Gidea Park called "Seasons of Gold." The song seemed to be another safe bet. But by the time he had closed the deal on "Seasons" in October 1981, Profile was in peril. Profile Records' founders hadn't drawn salaries from their fledgling company. To survive, they were still collecting unemployment checks, illegally. But between the costs of licensing and commissioning the records, pressing and shipping them, along with their overhead -- rent, electricity, phones -- they were down to their last $2,000. For a moment, Robbins and Plotnicki considered asking their parents for more money. Instead, they decided to gamble the rest on one more record. Plotnicki suggested a rap version of "Genius of Love," the new record by the Tom Tom Club. One of the dominant club tracks of 1981, "Genius of Love" was a successor to Blondie's "Rapture," a product of the collision of uptown and downtown cultures happening in New York. A funk record conceived by Fab Five Freddy's friends Tina Weymouth and Chris Frantz, "Genius of Love" was embraced enthusiastically by young Black kids who had never heard of Weymouth and Frantz's other group -- the new-wave band Talking Heads. "Genius of Love" was an inspired candidate for a rap remake. But Plotnicki and Robbins had to move fast. Another label, like Sugar Hill, was sure to come out with their own version. And Profile's rent was due. First, Robbins called his old friend Joe Tucci, who had recorded a huge disco hit called "Keep on Dancin'," right out of his own sixteen-track home studio. "Joe," Robbins asked, "can you record an exact replay of 'Genius of Love'? " No problem, Tucci answered. Robbins offered him $750 for the entire project. Next, Robbins called Island Music Publishing to secure the rights to re-record "Genius of Love." They would pay Island ten cents per record sold, a rate mandated by U.S. law. After that, Robbins called the only rapper he knew: Lonnie Love. Before he met Cory Robbins and Steve Plotnicki, Alonzo Brown had never had a real conversation with a White person. Brown had grown up in the DeWitt Clinton housing project in East Harlem with his mother, Margaret, and older brother, James. Their father, Baxter, had died of heart failure when Brown was only fourteen. An older Puerto Rican girl who lived in the building, Miriam, took pity on the Brown brothers -- both quiet boys who mostly stayed inside and played records. She took them to the ice-skating rink at the Harlem Meer, just a few blocks away in the northeast corner of Central Park. The rink became an obsession for Alonzo and James, who kept sneaking in until they got caught. The foreman of the rink, Mr. Johnson, cut them a deal. "People are complaining about the music here," he said. If the Brown brothers came in and played records for the crowd of kids, he would let them in for free. Alonzo and James formed the Lasker Skate Crew, hauling records to the rink every Saturday. They even got a grant from the city to purchase speakers, which they did on Canal Street from none other than Mr. Magic, who still worked at S&H Electronics while broadcasting his rap radio show on WHBI. On the night Brown went to Harlem's Renaissance Theatre and saw his first rapper -- Lovebug Starski telling the crowd to scream, "Oh, yeah!" and seven hundred people responding in unison -- he knew he wanted that kind of power. Brown began writing rhymes and practicing them in the hallways of Charles Evans Hughes High School with his classmate, Andre Harrell. Soon Brown and Harrell were writing routines together. While Brown focused on the substance of the lyrics, Harrell was concerned with style -- clothes, hair, presentation. Harrell was also good with marketing -- hustling for gigs, getting into the mix -- and he insisted they needed a gimmick. At first Harrell and Brown billed themselves as "the Lone Ranger" and "Tonto," but by the time they finally started to perform at clubs and community centers around East and Central Harlem, they were calling themselves "Dr. Jeckyll" and "Mr. Hyde," respectively. They sported mustaches, wore pants from A. J. Lester's men's shop on 125th Street, Cortefiel coats, and sneakers called Playboys. Alonzo was the taller of the two, standing a lean six feet even, not including his Afro. His girlfriend, Wanda Majors, had even made herself a sweatshirt that read, "Mrs. Hyde." By the time they made it to the rapping contests at Harlem World on 116th and Lenox, Dr. Jeckyll & Mr. Hyde were the neighborhood favorite. They even recorded a few routines that ended up on 12-inch records for two small uptown imprints, Rojac and Tayster, run by Harlem World's owner, "Fat" Jack Taylor. At Harlem World, Alonzo Brown's lyrical abilities caught the attention of two huge, muscled twin brothers, Taharqa and Tunde Ra Aleem. The Aleems were accomplished musicians who had shared an apartment with Jimi Hendrix in the 1960s and collaborated with him on a few projects, even contributing backup vocals to his song "Dolly Dagger." By 1980 the Aleems were already accomplished recording artists and had an R&B hit on their label, Nia Records, called "Hooked on Your Love," reissued by Panorama Records after being signed by its young general manger, Cory Robbins. Alonzo Brown adopted a solo moniker -- Lonnie Love -- and cut "Young Ladies" for Nia, giving his partner, Andre Harrell, label credit for helping with the lyrics. Meanwhile, Robbins had told the Aleems that he had started a new record company and was looking for music. The Aleems took Brown to meet Robbins and his new partner at Profile. This new label with the downtown office seemed like the big time, and Brown was nervous. He was surprised to see that Robbins and Plotnicki were, too. The two White guys tried to project confidence, but he suspected that they didn't know what they were doing. "Young Ladies" sold a few records -- in Florida, for some reason -- and then quickly went away. Brown grew restless. He didn't want to spend the rest of his life in East Harlem. By the time he got a call from Robbins in October of 1981 asking him to rap on another record, "Lonnie Love" had already enlisted in the air force. But Alonzo Brown agreed to make the record anyway, and asked if he could record the song with his partner, Andre Harrell. 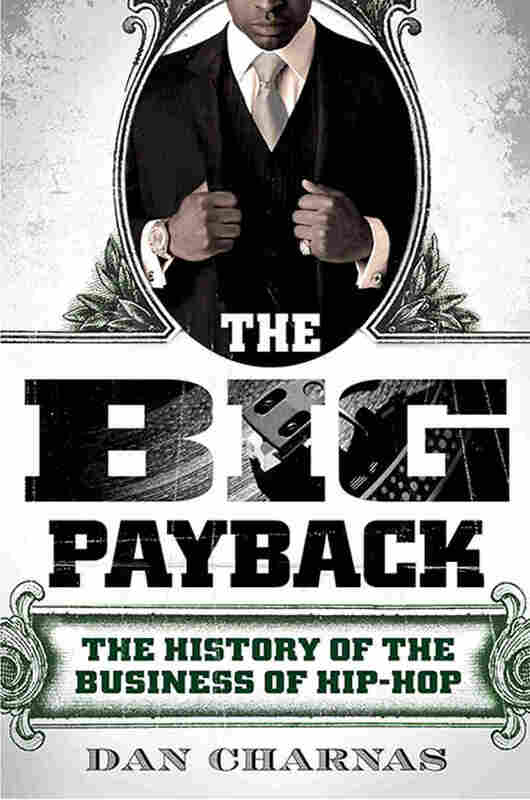 Printed with permission from The Big Payback: The History of the Business of Hip-Hop by Dan Charnas, NAL Books, copyright 2010.